Clarence Eugene Snow was born in Brooklyn, Queens County, Nova Scotia, Canada. And once when the sea-going fellow returned from one of his trips, he learned his mother had obtained a cheap guitar from a mail order house. This gave the youngster his first try on a stringed instrument. Not long after this, Hank learned that the late Jimmie Rodgers had been discovered by Ralph Peer and was already recording for the RCA Victor Company. "The Singing Brakeman," as Jimmie was known, was not only to become Hank's idol, but would serve as his guiding star along the rough road to success. Although Hank worked at many jobs, including work on fish docks, as a stevedore, on farms, etc., he continued his practice on the guitar and often sang to entertain his friends and ward off loneliness. Finally he was encouraged by his friends to seek and audition at Radio Station CHNS in Halifax. He did his first show on the day of his audition. Soon after acquiring his radio position, Hank decided to form the now famous Rainbow Ranch Boys and established himself as the "Singing Ranger. " As Hank matured professionally, more important things came his way. Soon he was invited to become a featured act on the Canadian Farm Hour. He was signed to his first recording contract with RCA Victor, Canada, in October of 1936. In 1949, Hank made his first performing tour in the United States to coincide with the release of his first American record. Hank, who joined the Grand Ole Opry in 1950, has assembled an impressive file of hits, including "I'm Moving On," "Rhumba Boogie," "Bluebird Island," "Golden Rocket," "Hello Love" and many more. He has recorded more than 80 albums, and more than 2,000 songs and instrumentals. 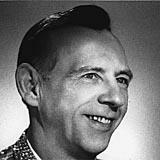 Hank has received many impressive awards in his lifetime, but still considers his U.S. citizenship, his involvement with the Hank Snow Child Abuse Foundation, and being an Opry member for over 40 years his greatest rewards. Elected to the Country Music Hall of Fame in 1979, Snow died on Dec. 20, 1999.